The balneologist and long-term head of the israelitische Kuranstalt, Dr. med. Max (Markus) Isserlin, had his roots in Jewish family from East Prussia. He was born on December 8, 1874 in Prostken / Lyck (today Prostki, Woiwodschaft Ermland-Masuren, Poland). 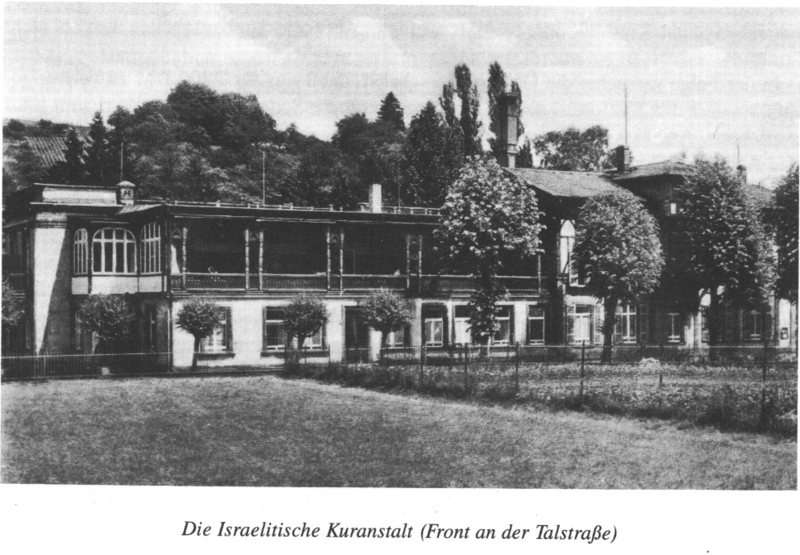 From his arrival in Bad Soden in the year 1900 until the november pogroms in the city on November 10th, 1938, Dr. Max Isserlin directed the israelitische Kuranstalt and was seen as an all-respected citizen and esteemed clinician. Several times he was the head of the doctor society in Bad Soden, invested 1912 in the inhalatory building (Medico-Palais), participated in the local politics and was the head of the synagoge 1907 until 1938. Max Isserlin took part in the First World War as medical officer, being awarded the iron cross medal in 1915. He bought the villa “Zum Quellenpark 6” as residential building, where he also installed his doctors’s office. After the power takeover of the Nazis he was forced to sell this and to move to the Dachbergstrasse. After his forced expellation on November 10, 1938 and his temporary arrest, he managed his escape together with his wife Regina to England, meeting his two children there, who had already fled in 1933 and 1936 respectively. He died in 1965 in Manchester, England. Dr. Max Isserlins last freely chosen residence was at Hauptstraße 6, today “Zum Quellenpark 6”, in Bad Soden. Additional Information: Article about Dr. Max Isserlin from the Höchster Kreisblatt, 20.11.2013.